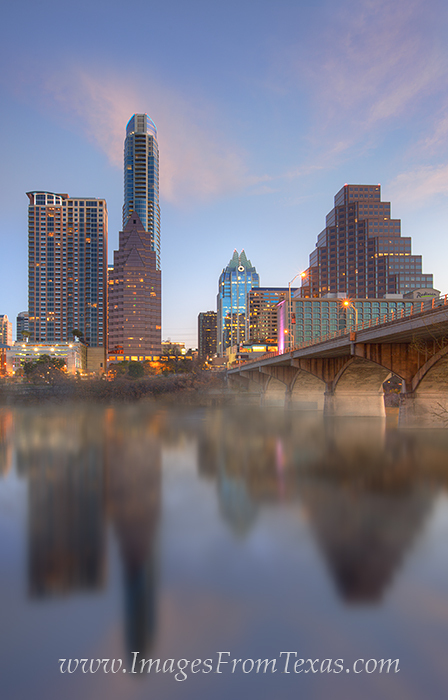 Looking towards downtown Austin, this photograph shows the Congress Bridge as it stretches across Lady Bird Lake. Congress Avenue eventually leads to the front steps of the capitol, but I enjoyed this view of the skyline on a cold January morning as fog drifted across the water. Photo © copyright by Rob Greebon.